Beacon Pointe Wealth Advisors Newport Beach and Inland Empire wealth advisory teams came together to host their first joint Women’s Advisory Institute (WAI) event. 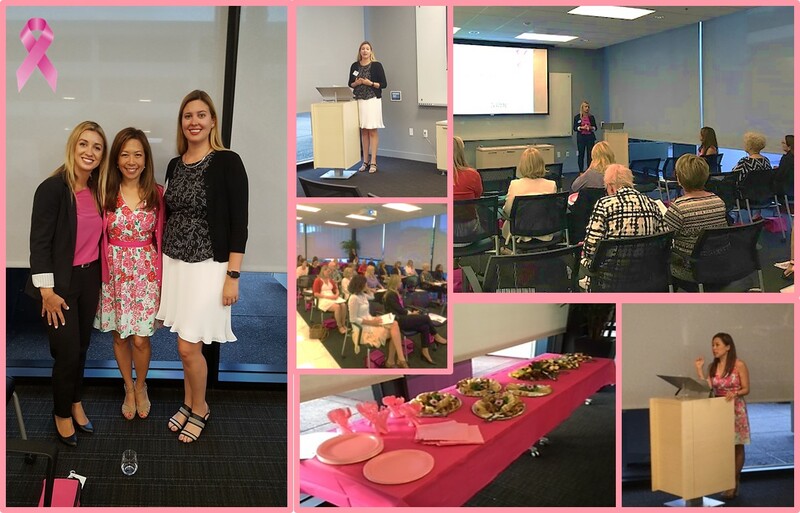 Attendees were fascinated by guest speaker Dr. June Chen, Medical Director at Breastlink Newport Beach, who discussed how to take charge of your health by going over important breast cancer facts and screening techniques that affect women. Following Dr. Chen’s presentation, Lauren Meixel and Nichole Diaz presented on several key points to assist with conducting a self-examination of your financial health and wellness. They devised and reviewed worksheets that can assist in calculating one’s net worth and current expenses. Filling in and evaluating these worksheets serve as one of the simple techniques to boost financial well-being. To download the Net Worth Worksheet, click here. To download the Expense Worksheet, click here. Beacon Pointe’s WAI mission is to educate, empower and engage women of all ages and are hosted for Beacon Pointe clients, their friends and family. Thank you to those who attended and we look forward to seeing you again soon!